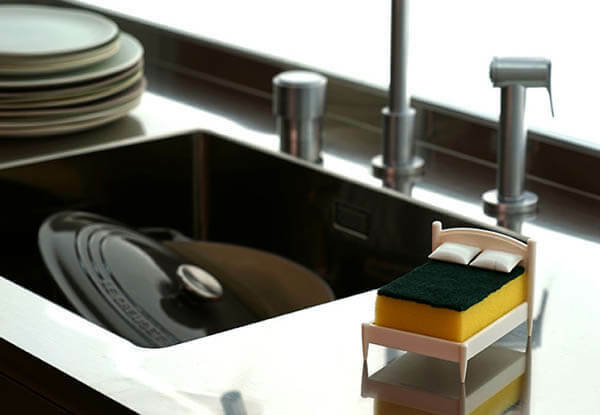 Designed by Ototo, a Tel Aviv based design studio, “Clean Dreams” is a kitchen sponge holder in the shape of a small bed so that the sponge could take a well-deserved rest in-between scrubs. I know it sounds a bit crazy. 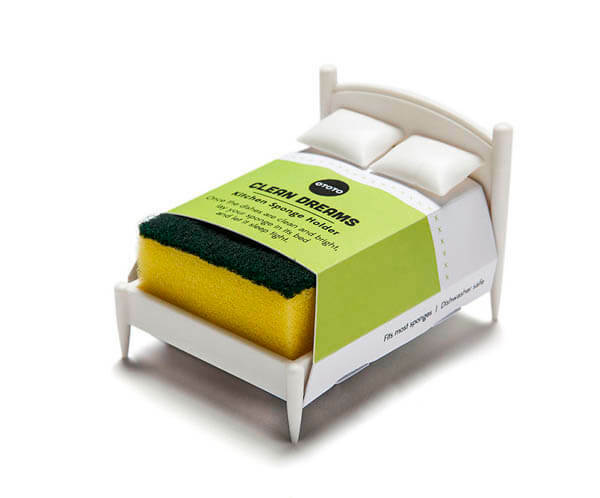 But when you look at the actual product, it will immediately put a smile on your face. 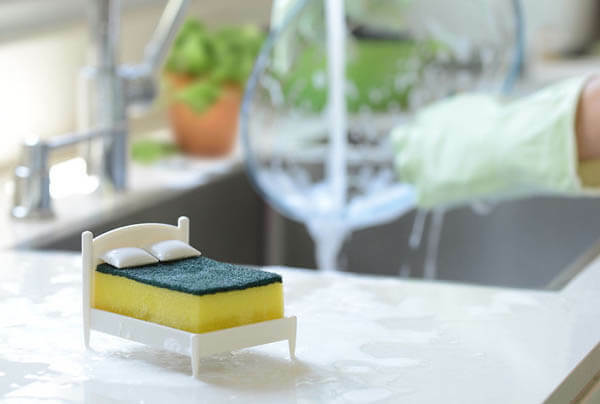 Moreover, an internal spine keeps the soapy water away from the sponge so the sponge can keep dry and clean. 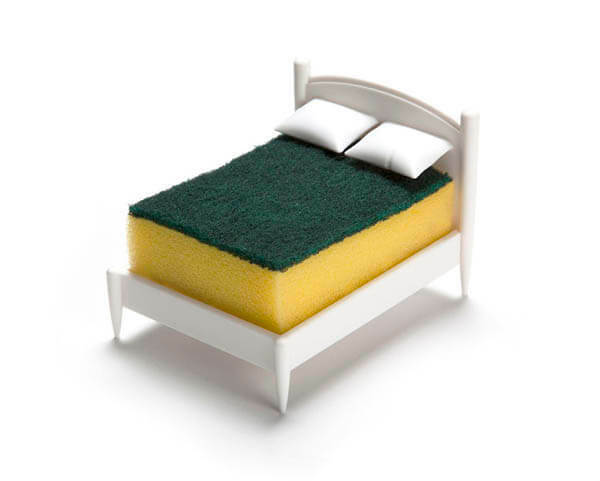 According to the designer, it fits most sponges. 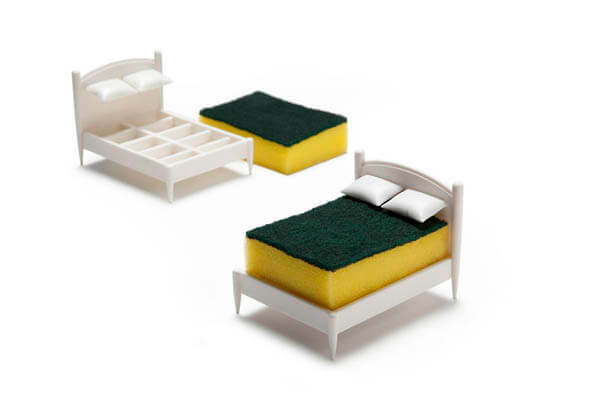 Last but not least, if you use double layered sponge, your sponge bed looks like having a bed linen. 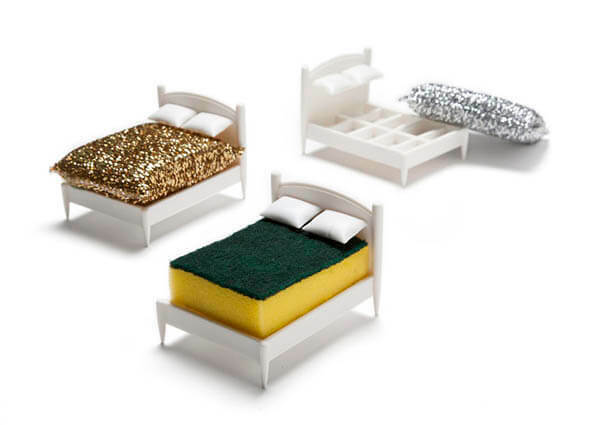 You can purchase it from amazon.